In less than a century, the city of Miami could be underwater. Climate Change is not a matter we can fault on. The troubles of rising water levels, increased temperatures across the globe, and more, will continue to grow. There is a way to fix this. Sustainable Architects are the key to building a strong and sustainable future. We cannot be passive. We also don’t have to, and here is how. Climate Change is a term for the buildup of Greenhouse Gases in the atmosphere. These gases trap heat from the sun and increase temperatures across the globe. The effects on the global climate pushes the world into extremes. The global climate strives to rebalance. Until we work with it, the dramatic shifts will create disaster after disaster. Architecture is at the forefront of this problem. Buildings consume nearly 40% of all energy. Also, the concrete industry generates a lot of CO2, which is a Greenhouse Gas. There will be more oppressive hot days that will delay construction across the globe. Workers will suffer, and so will progress. The heavy flooding will wreck coastal cities. The devastation of Hurricanes like Harvey and Irma will continue with more frequency. The cost of repairs will increase over and over again. We can solve this with a variety of simple and effective solutions. No measure is small enough to be discounted when facing this massive threat. Architects need to avoid relying on unhealthy design details. Finding ways around overuse of air conditioning and electric lighting is a start. The revival of lower tech may be a small help. Passive ventilation can help replace some of the more carbon-heavy technology. A big solution is to focus a building towards using and even generating clean energy. Buildings with built-in generators will be a strong step forward. Using panels to absorb solar or wind energy will be a strong addition. This all goes towards reducing or even reversing a buildings carbon footprint. There are signs that this call to action is better for the environment and for business. Green business generated $167 billion and 2.1 million jobs from 2011 to 2014. 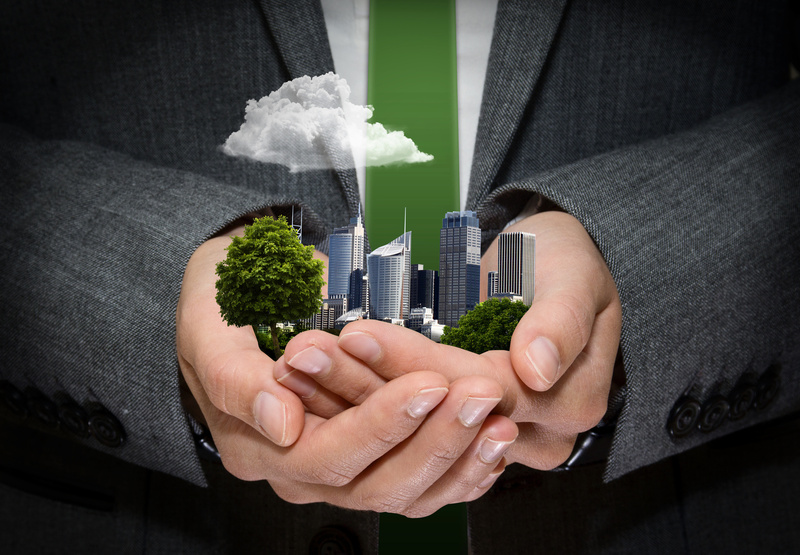 Energy-efficient buildings help to increase sales and rent premiums across the board. A strong desire for more of these buildings would boost architecture across the board. Solar energy became the cheapest source of energy in 2016. All of these things are positives. They could push people towards building to combat Climate Change. This is only the economic concerns and priorities. Add to that the cultural impact of devastation. Climat Change can wipe Coastal regions off the map. Draughts will kill agriculture. More and more of the world will be inhospitable. We have the benefits and we have the tools, we need the desire to reach for it. We have all the tools we need to combat and reverse the effects of climate change. Only a small amount of the world wants to change. Only 400 of the 20,000 architecture firms in the United States vow to follow the AIA’s 2030 commitment of Carbon Neutrality. We must push towards standards that will help protect our environment. Only then can we build for a future that will last. Be a part of the solution. Find out how you can help today.